This is a great little skit that would be good to perform in class during the weeks leading up to Easter. It was taken directly from the NASB version of Luke 22:14-23. This skit can be done as simply as having the kids sit on the floor acting out the parts, with no props or costumes, and the teacher or another student to read the entire script. It could also be part of a full-blown production with props, costumes, and having the actors memorize their lines. Have fun with it! table – This can be a regular table with chairs or a low blanket and the actors can sit on the floor. Narrator: When the hour had come, He reclined at the table, and the apostles with Him. 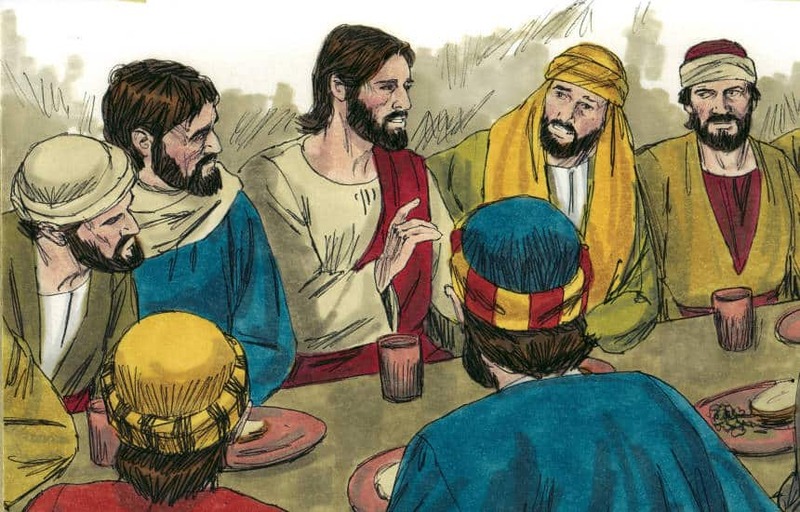 Jesus: I have earnestly desired to eat this Passover with you before I suffer; for I say to you, I shall never again eat it until it is fulfilled in the kingdom of God. Jesus: Take this and share it among yourselves; for I say to you, I will not drink of the fruit of the vine from now on until the kingdom of God comes. Jesus: This is My body which is given for you; do this in remembrance of Me. Jesus: This cup which is poured out for you is the new covenant in My blood. But behold, the hand of the one betraying Me is with Mine on the table. For indeed, the Son of Man is going as it has been determined; but woe to that man by whom He is betrayed! Narrator: And they began to discuss among themselves which one of them it might be who was going to do this thing. Tony Kummer (Editor) reviewed & updated this page on : March 31, 2014 at 8:44 am. All our content is peer reviewed by our readers, simply leave a comment on any post suggest an update.